Each engagement tool within your campaign gives people a unique way to support your organization. Since the Shopping Cart allows you to process all of these engagements within a single transaction, we’ve added Advanced Settings that allow you to customize shipping and sales tax collection, add custom fields, waivers, and collect individual participant information at a more granular level. 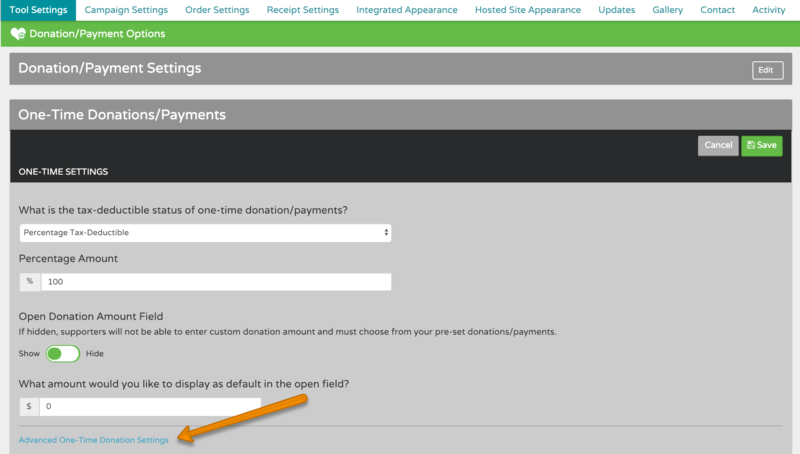 By configuring these settings, you can make sure that your supporters only see and enter information that is relevant to their particular transaction activity at checkout. Below, you’ll find details about each of the Advanced Settings along with the list of tools that use them. For example, when adding a new item to your Online Store within a campaign, you can configure the amount of Sales Tax that you will collect on each of these item types purchased. 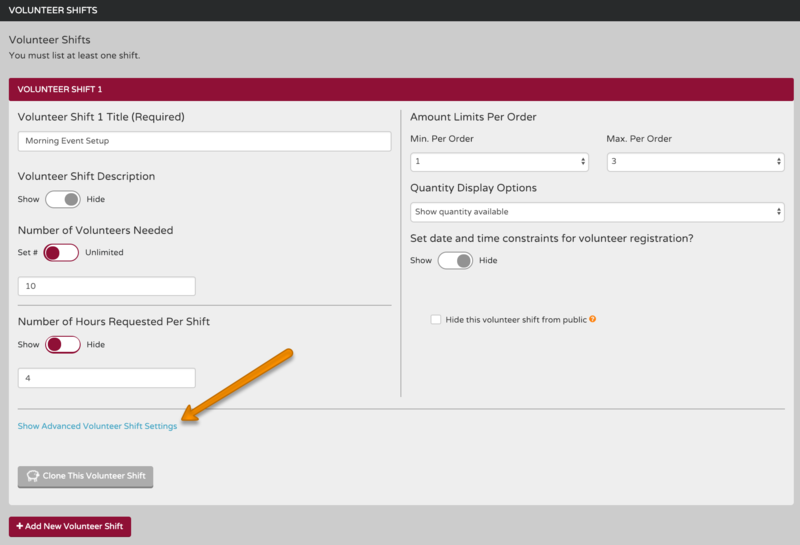 By configuring Sales Tax within Advanced Settings, you can make sure that Sales Tax is applied only to the purchase of a particular item type and not to other payments (such as donations or registrations) within a supporters' transaction. 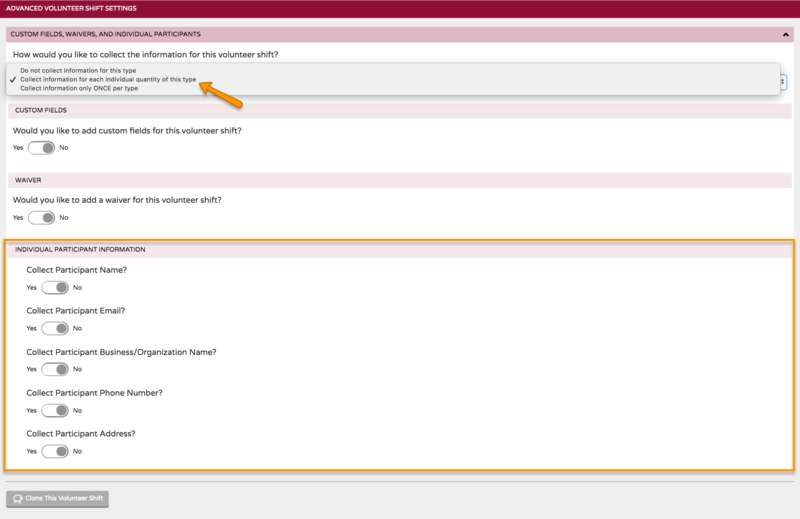 By toggling to "Yes," you can select from the dropdown menus and add custom fields and waivers to an individual item type or donation level. 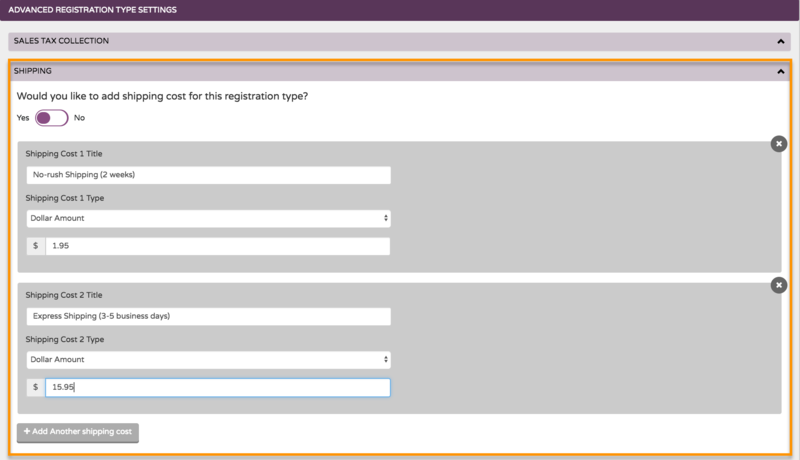 You can also select "Create a New Custom Field" or "Create a New Waiver" from the dropdown menu and create one on the spot. 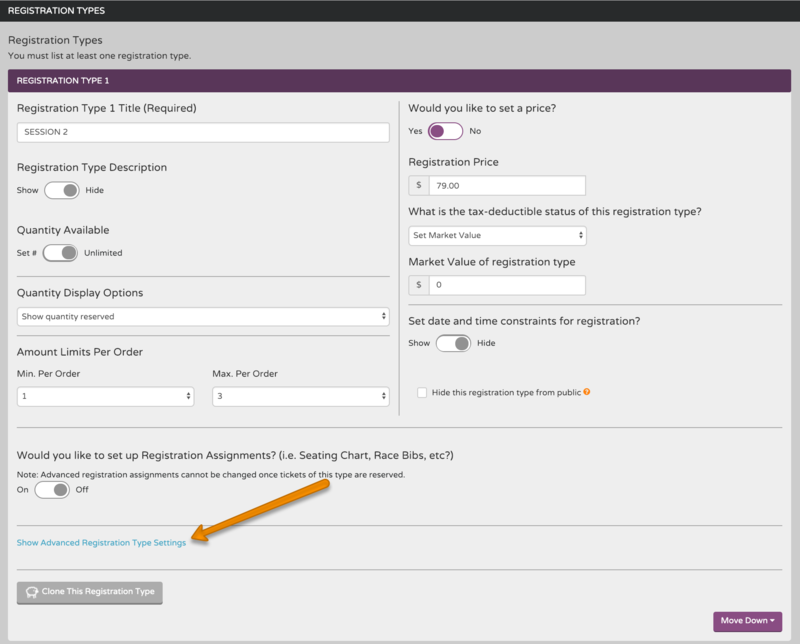 It's possible to add multiple custom fields to each item type, but only one waiver. With the shopping cart activated, these fields will display at the end of the checkout process (after your supporter has entered their personal information and before the transaction is submitted). 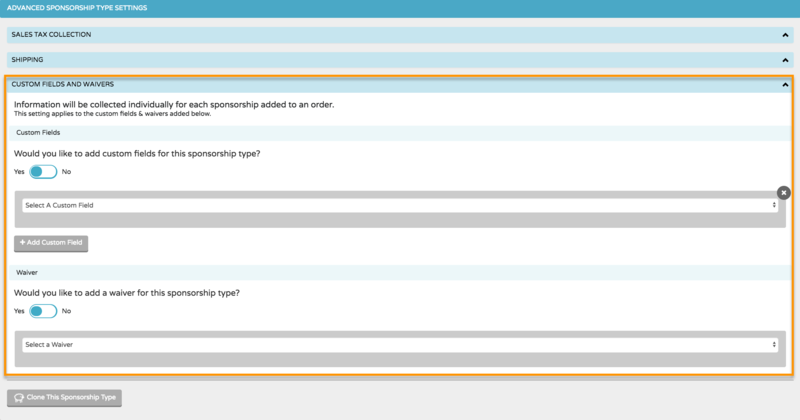 Adding Custom Fields and Waivers within Advanced Settings ensures that they only display when a supporter selects that particular item type within your campaign. 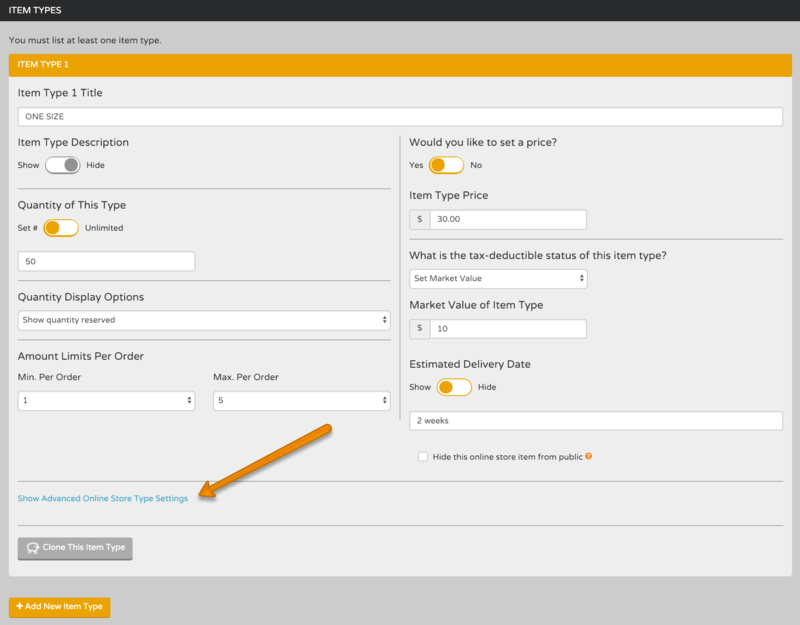 You can also add Custom Fields and Waivers to an entire order (regardless of supporter activity) under the Order Settings tab.